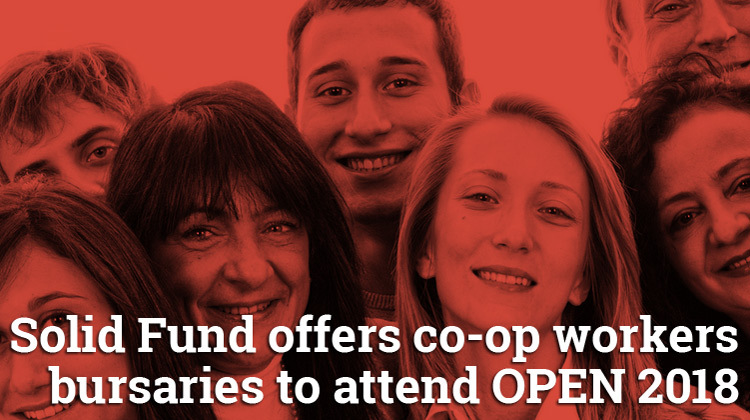 The Solid Fund is offering members of worker co-ops bursaries to cover the costs of travel and tickets to the OPEN 2018 Platform Co-ops conference in London this July. Solid Fund is an excellent initiative which supports workers to own and control their own livelihoods. 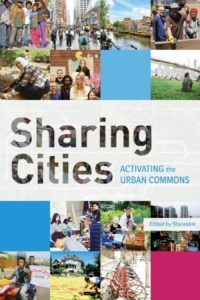 They want a strong, growing and self-reliant network of successful workers’ co-operatives and are creating a permanent common fund, paid for by members. The Fund supports education and training for worker co-operators and promotes worker co-op organisation and culture. If you can afford it we highly recommend joining Solid Fund which only costs from £1/week – then you can apply for the bursary straight away, and start contributing to the development of the Fund and propose other initiatives. But if you can’t afford to join the fund, then feel free to email us details about what you do and which worker co-op you are part of and we will put your name forward for a free ticket to OPEN 2018. Proposals (including nominations for bursaries) have to come from SF members, but they can propose non-members as beneficiaries! There are no guarantees that you will qualify for a bursary. They will be awarded on a first come, first served basis, to people who wouldn’t otherwise be able to afford to attend OPEN 2018 and there is only £2,000 available, so don’t hang about! Applicants should say how much they need in £ (for tickets and travel) and will be reimbursed after the event on evidence of receipts. Thanks to Sam Toland for proposing this to the Fund and everyone who voted to make this possible.